In 1958, Charles David Keeling began measuring the concentration of carbon dioxide in the earth’s atmosphere at the Mauna Loa Observatory in Hawaii. His project launched a half century of research that has expanded our knowledge of climate change but done little to curb its effects. In Behind the Curve: Climate Science and the Politics of Global Warming, Joshua Howe explores the history of global warming from its roots as a scientific curiosity to its place at the center of international environmental debates. The book follows the story of rising CO2—illustrated by the now famous Keeling Curve—while highlighting the relationships between scientists, environmentalists, and politicians as climate science evolved and as policy debates unfolded. In today’s guest post, UW Press senior designer Thomas Eykemans recounts his efforts to create a book cover that incorporated an iconic graphic while also reflecting the human and environmental components of climate change. 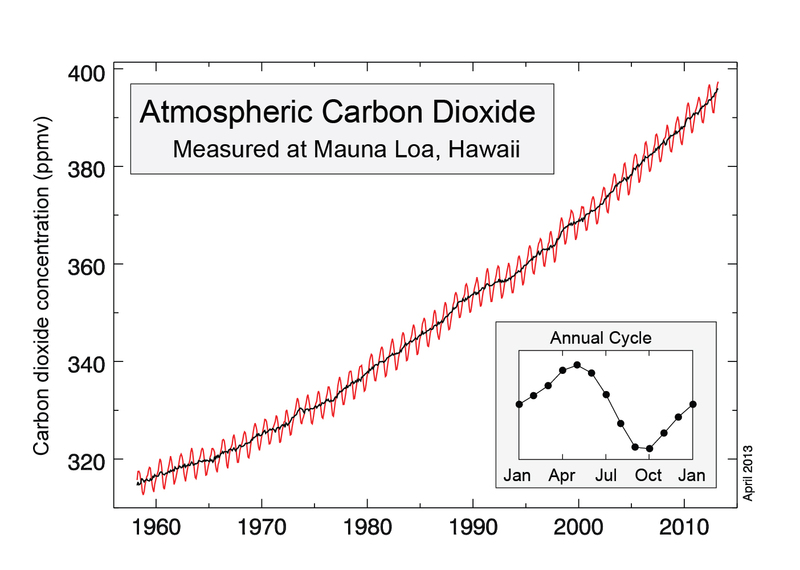 The Keeling Curve measures the concentration of CO2 in the atmosphere at Mauna Loa from 1960–2013. Howe writes that “the Keeling Curve [is] one of the simplest and most powerful images in the iconography of anthropogenic climate change.” It is central to the argument of the book and appears again and again throughout, even inspiring the title. It became obvious that it had to play some role in the design of the cover. My challenge lay in how to present it in an engaging and appealing way. My initial concepts were purely graphical, exploring an interplay of typography, color, and the curve. I liked the idea of warm and cool colors defining the foreground and background. The placement of the title could also play with being in front or behind. A flowchart of a complex governmental report provided an interesting contrast to the simplicity of the curve. Early concepts paired the Keeling Curve with various typographic and color combinations. This entry was posted in Behind the Covers, Book Design, Current Events, Environmental History, Guest Post and tagged climate change on June 25, 2014 by uwpressblog. This year marks the 50th anniversary of the 1964 Wilderness Act, which now protects more than 100 million acres of wild lands in the United States from development. Howard Zahniser is widely recognized as the key architect of and advocate for the Wilderness Act, but his untimely death just four months before the signing of the Wilderness Act meant he never saw the fruits of his tireless efforts. In the new volume, The Wilderness Writings of Howard Zahniser, Mark Harvey has astutely curated Zahniser’s writings—from radio addresses and personal correspondence to congressional testimony—that supported this critical piece of legislation. The collection provides an eloquent and passionate reminder that wilderness is a core American value and should be protected accordingly. Here we feature an excerpt from Zahniser’s address before the Sierra Club’s 7th biennial wilderness conference in San Francisco in April 1961. This entry was posted in Book Excerpt, Environmental History, Western History and tagged Howard Zahniser, Wilderness Act on June 18, 2014 by uwpressblog. “This book is undeniably a significant addition to the burgeoning literature in urban ecologies and animal geography. It is a fascinating read and I learned a tremendous amount about the role of animals in urban histories.…By so thoroughly melding together the notions of race, class, gender, place, and the nonhuman, Biehler demonstrates how inseparable human-animal relationships are in the urban setting.” Read the full review here. This entry was posted in Environmental History, Pacific Northwest, UW Press News and tagged Asian American literature, Howard Zahniser, Joshua Howe, Ruth Ozeki on June 13, 2014 by uwpressblog. The Pacific Northwest is a great place to be in the summer and the University of Washington Press publishes books that can help you unlock the historical, natural, and cultural wonders of this region. We asked several press staff members what books they recommend to friends and family members traveling to the area and have included a few of those responses below. Browse this album for a more complete listing of our regional titles and enjoy a 20 percent discount on all of those titles for the entire month of June. Just reference code WPNW when ordering online or at 1-800-537-5487. This entry was posted in Pacific Northwest on June 11, 2014 by uwpressblog. 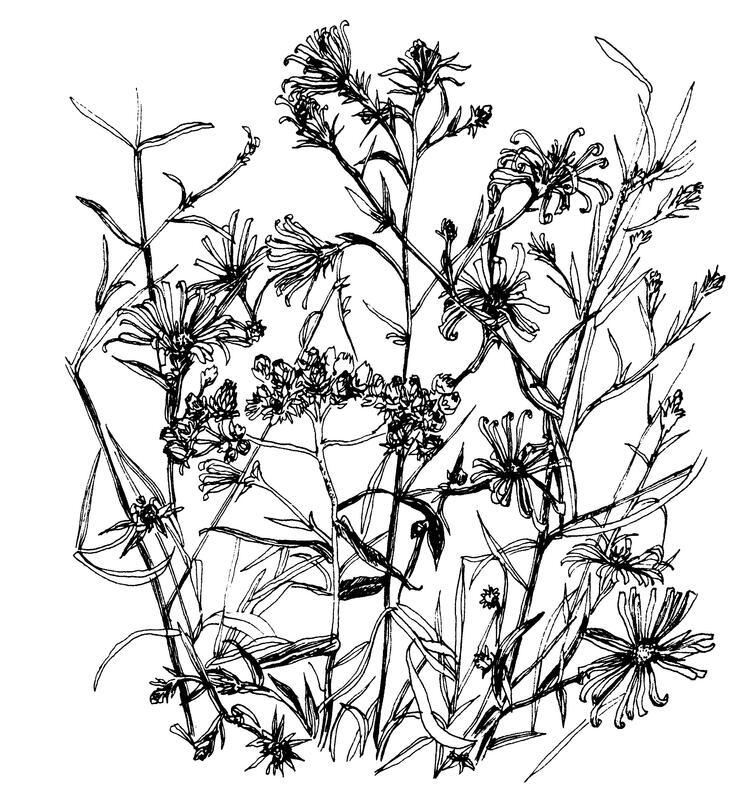 The following is an excerpt from Hazel Heckman’s Island Year, with drawings by Laurie Olin. The book contains a year’s worth of meditations on the flora and fauna of Anderson Island as they cycle through the seasons. The following excerpt is taken from her entry for the month of June. Filled with delightful descriptions of the natural riches of the Pacific Northwest, Island Year was originally published by the University of Washington Press in 1972. We brought out a new paperback edition of this Northwest classic earlier this year. Camouflaged among yellow blossoms dripping from the rain tree, laburnum or golden chain, two goldfinches billed each other. The bright yellow male wore a black beret tilted forward. He looked debonair, a gay Lothario. The soft green female made a fine pretense of modesty and shyness. She moved away, but not too far. Her simulated reticence increased his interest, which was probably the way she’d planned it. The horse chestnut tree came into bloom overnight. Flowers stood up in spires, wine-red or yellow centered, staminate and pistillate blossoms with long projecting style and stigma, and recurved stamens. Bees are guided subtly by spots of color at the base of petals. The English call the tree hyacinth, or “giant’s nosegay,” “a sight for gods and men.” And so it is, a tree to outdo all flowering trees save in the tropics. This entry was posted in Book Excerpt, Pacific Northwest and tagged Anderson Island, the Pacific Northwest on June 4, 2014 by uwpressblog.